If Microsoft Outlook will not send emails, the solution might be as simple as changing a setting. However, it could also be something a bit more complicated. Walking through common troubleshooting steps can help you resolve Outlook not sending emails in Outlook 2019, 2016, 2013 or 2010, Outlook for Mac 2016, Outlook for Mac 2011 and Outlook Online. These instructions apply to Outlook 2019, 2016, 2013 or 2010; Outlook for Mac 2016 or Outlook for Mac 2011; and Outlook Online. Sometimes trying to send an email again does the trick. Right-click the email stuck in the outbox, point to Move and choose the Drafts folder. Open the email in the Drafts folder and click Send. Check to see if the message is now in the Sent folder or still in the outbox. A tiny typo, such as a comma instead of a period, can prevent Outlook from sending an email. First, make sure you are connected to the internet. Once you have confirmed your connection, make sure you are working online in Outlook. Look at the lower-right corner of the Outlook window. 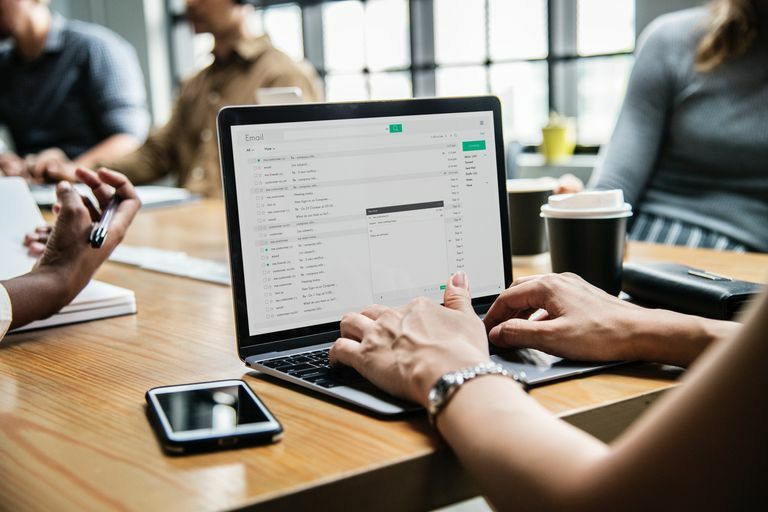 If it says Disconnected, Working Offline, or Trying to connect, you are not connected to your email server. Click the Send/Receive tab on the ribbon. Click Work Offline in the Preferences group. You should now see Connected to Server in the lower-right corner of the window. Click the Send/Receive All Folders button in the Send & Receive group. Outlook limits the size of files you can send to 20 megabytes (MB) for internet accounts, such as Gmail or Hotmail, and 10 MB for Exchange accounts (business email accounts). If you are receiving an error message about the file size when you attempt to send an email, you can increase the size limit for Outlook. If you have recently changed your email password online, you will need to change it in Outlook as well or you won't be able to send (or receive) emails. Click Account Settings and select Account Settings from the drop-down list. Choose your email account and click Change. Enter your updated password in the Password box. Click the Send/Receive All Folders button in the upper-left corner of the Outlook window or press F9 to try sending your email. It's possible your Outlook application is damaged. You can use the built-in Microsoft Office repair utility to fix it. Repair Outlook 2016, 2013 or 2010 in Windows 10. Close all Microsoft Office applications. Type Apps & Features into the Windows search box. Find and click on Microsoft Office in the list of installed apps and features. Click Yes if a user account control window appears asking, "Do you want to allow this app to make changes to your device?" Select Online Repair and click the Repair button. Restart Outlook when the repair process is complete. Repair Outlook 2016, 2013 or 2010 in Windows 8. Make sure Category is selected in the View By list. Right-click Microsoft Office and choose Change. Select Online Repair if it is available (this depends on the type of Microsoft Office you have installed). Click Yes if a user account control window appears. Repair Outlook 2016, 2013 or 2010 in Windows 7. Select Microsoft Office from your list of programs. Go to the Outlook menu. Check to see if Work Offline is selected. Click Work Offline to remove the check mark and work online. Although doing so can fix the issue, be aware that you will have to recreate any email message you were attempting to send. Delete all of the messages in the folder. Try sending an email to see if the issue is resolved. Using the Microsoft utility to rebuild a corrupted database might solve Outlook not sending emails. Please note if you have a Microsoft Exchange account, rebuilding the database will delete any information not synced with the server. You might want to back up any Outlook data stored only on your computer before you rebuild the database. Quit all Microsoft Office applications. Hold down the Option key and then click the Outlook icon in the Dock to open the Microsoft Database Utility. Click the identity of the database you want to rebuild. Restart Outlook when the process is complete. If your inbox is full, you will not be able to send or receive any messages. Delete any unwanted email messages from the inbox. Right-click Junk Mail and click Empty. Outlook.com limits the number of emails you can send in a day to deter spammers. If you have recently sent a large number of emails, you can save the draft and send it the following day. Alternatively, you can increase your sending limit by updating security settings. Go to the Microsoft Account Security page. Verify your identity using your phone number or alternate email address. Follow the on-screen instructions to update your security settings. Email Stuck in Windows Live Mail's Outbox?